The Office of Community Engagement, University of Maryland Police, and Maryland Athletics kicked off the College Park Dream Team in 2012. 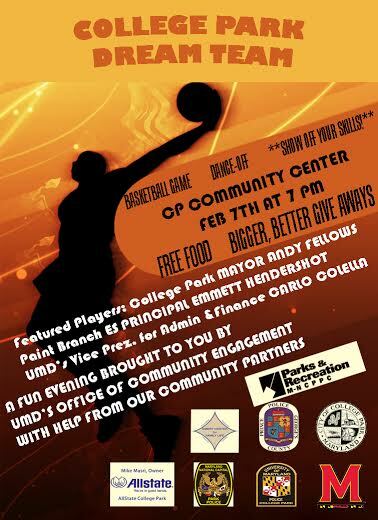 The College Park Dream Team is a basketball partnership designed to strengthen relationships between community youth and officials from a team of local law enforcement agencies. One of the main sources of inspiration to create the Dream Team came from University Police Chief David Mitchell, who considers the basketball court and the shared love for the game to be an ideal environment for enabling University and other local police agencies to team up to provide community youth with ongoing mentorship and support.